Akshay Kumar, Salman Khan, Varun Dhawan's films to clash on Eid 2020 — but does it make box office sense? Akshay Kumar, appearing in an averagely reviewed, hyper nationalistic film Kesari, has earned a huge opening in theatres with Rs 22 crores. Kesari grows in strength, as the much applauded Mard Ko Dard Nahi Hota with a new cast and a couple of festival circuit awards, slowly recedes. The writing on the wall is clear — when it comes to making big money at the box office, having a guaranteed weekend run and a clear window can help a big film immensely. Given the veracity of this logic, Eid 2020 is baffling. There are three big Hindi film releases slated to hit theatres on that festive weekend. Salman Khan, who traditionally owns the Eid release date, will romance a much younger Alia Bhatt in Sanjay Leela Bhansali’s Inshallah, a love story. 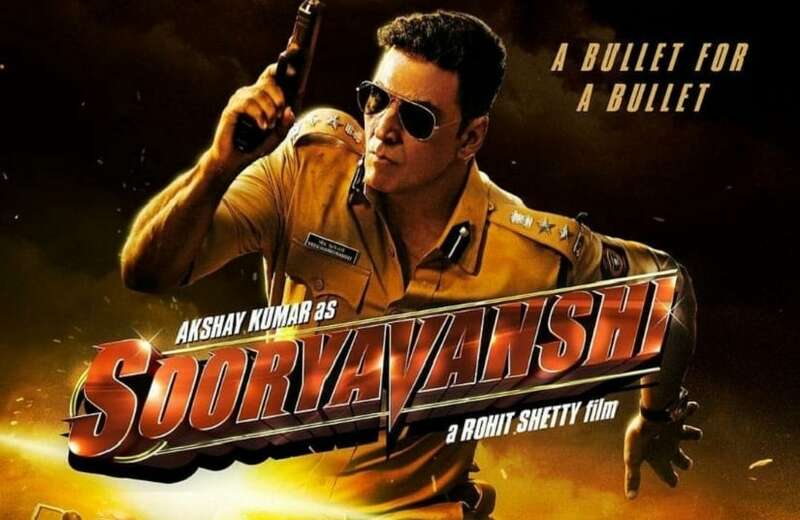 Akshay Kumar, the big brother to exhibitors and distributors with his capacity to draw audiences in, will appear as Sooryavanshi, an anti terror special cop in a Rohit Shetty cop drama. And Varun Dhawan, also a safe box office bet, whose film always make at least Rs 50 crores (including October, an offbeat human relationship story), will reprise a slapstick cult comedy Coolie No 1 with Sara Ali Khan. This is perhaps the first time in about five years when three major films will clash at the box office. As goes without saying, each one will cannibalise the other’s business. In all, India has approximately 6,700 to 7,000 movie screens (exact numbers are difficult to determine as data of the Film Federation of India is not updated and number of closures in the past three years are not accounted for). Of these, approximately 2,400 screens are multiplexes, relatively expensive and centered in cities. That is a per capita distribution of about 10 screens for every 1 million people. It puts India’s ranking in film infrastructure below most nations that produce films. India has a burgeoning entertainment industry. As per a report by FICCI and KPMG, the Indian entertainment industry, inclusive of film, music and television, will touch 33 billion USD by 2020. Naturally, box office clashes, when film producers and financiers hope to make serious money, become inevitable. And it never means good news for competing films. In 2008, Shah Rukh Khan’s Om Shanti Om released on the same day as Ranbir Kapoor and Sonam Kapoor’s debut film, Saawariya. The latter, a super expensive Sanjay Leela Bhansali film, tanked, and sank Sony Pictures’ Indian production unit with it. In 2012, Shah Rukh Khan faced the negative impact of a box office clash when Jab Tak Hai Jaan, directed by the late Yash Chopra, had a mediocre run in the Diwali box office, after Ajay Devgan’s Son of Sardar, a massy comedy won this race. In 2015, yet again, Shah Rukh Khan’s multi-starrer Dilwale fared poorly against Bajirao Mastani, Bhansali’s historical drama with Ranveer Singh, Deepika Padukone and Priyanka Chopra. The one rare occasion when the release date clash did not affect a film’s business adversely was in 2004. Diwali witnessed three releases — Veer Zaara, Mughal-E-Azam in colour and Aitraaz. Each film did well. Naach, a much smaller film than the rest, failed to make a dent, but all three star vehicles did decent business. With increased ticket prices and less time invested in movies, dividing an audience is not in the best interest of a film. A second determinate factor in box office clashes becomes muscle power and show of clout. Typically, Salman and Akshay are both superstars that anyone steers clear of clashing with. Both tend to deliver super hits and draw in audiences, irrespective of the merit of their films. 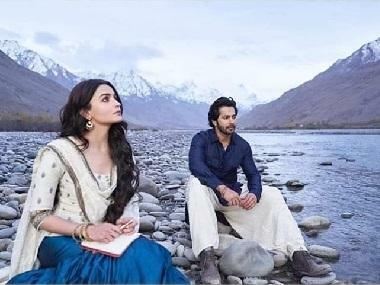 This time around, both are working with credible, successful filmmakers (Sanjay Leela Bhansali and Rohit Shetty respectively), who have consistent success records. David Dhawan, who will direct his son Varun in the Coolie No 1 remake, has also not failed too often. In this case, the process of pre-blocking will determine the number of screens that will be allotted to a film, particularly by lucrative multiplexes. Pre-blocking means cutting distribution deals well in advance, whereby a certain film gets an assured number of screens well ahead of time. This ensures hostile competition amongst film companies. Interestingly though, a key factor in current times is content. 2018 is testimony to that. Aamir Khan, a safe bet in delivering box office success, could not succeed with Thugs of Hindostan. The Yash Raj film had him and Amitabh Bachchan in a mythical action adventure that simply did not hold up. Khan could not carry the mediocre film on his credibility. Salman Khan also failed to deliver a hit with Tubelight despite getting a clean, non-competitive Eid weekend. Similarly, Shah Rukh Khan, who unleashed a massive publicity campaign in signature style, and had two top heroines, Anushka Sharma and Katrina Kaif, starring with him in Zero, fell flat on the Christmas release weekend, as the film was, simply put, bad. In the case of Eid 2020, if all three films do release together, it will be interesting to observe how much pull does the younger star, Varun Dhawan, has against veterans Salman Khan and Akshay Kumar, indicating changing audience preferences. While the predictive analysis of which film might do better than the others is quite tricky, Rohit Shetty’s Akshay Kumar-starrer Sooryavanshi seems like the safest bet for a winner. It is guns and glory, cops and terrorists, and has Akshay Kumar doing all of that. Sanjay Bhansali’s saga builds curiosity with its cast too. Both Kumar and Khan have films to their credit that add up to about Rs 800 crores each in the last two years. However, in a situation where ground reality indicates very cramped screen space across India, it will make a lot more sense for these films to reconsider releasing on the same date. If anything, this will also mean more promising content for the Hindi movie buffs over multiple weekends in 2020. Star vehicles take tons of money and time to make, so spreading these out makes good business sense, even if one misses out on a festive weekend. 1Akshay Kumar, Salman Khan, Varun Dhawan's films to clash on Eid 2020 — but does it make box office sense? 4Gully Boy's impact on Mumbai's hip-hop scene: As brands embrace genre, can hype be sustained?